This text makes theoretical issues relevant and accessible to students going into professional practice, enables them to apply theory to case examples, and helps them see which theories are focused primarily on specific developmental domains. 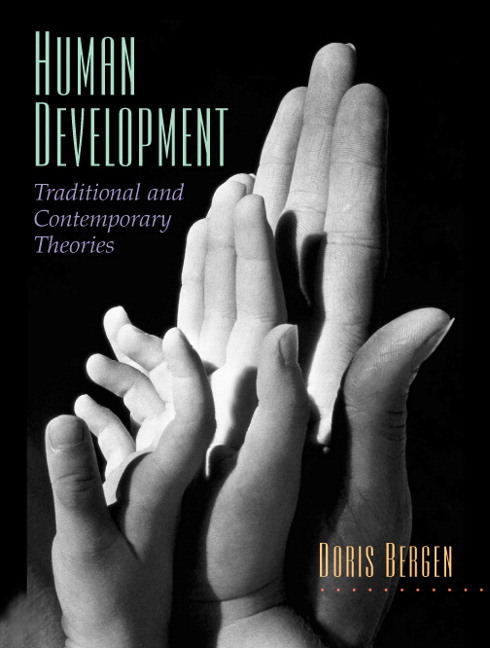 Throughout years of teaching various courses in psychology, Doris Bergen struggled with a familiar problem in Human Development classes: the texts available to her did not meet the needs of the types of students in her classes. In teaching students who were primarily working towards degrees in professional practice, rather than those focusing on advanced degrees in psychology, the current texts did not present theoretical work in a way that helped her students translate the concepts into their careers. Here, Doris Bergen has authored a text that does just that. By making the theoretical issues relevant and accessible to students going into professional practice, enabling them to apply theory to case examples, and helping them see which theories are focused primarily on specific developmental domains, this text will give students the edge they need as they move forward in their working lives. How do your students apply theoretical concepts to their professional lives? This text makes the theoretical issues relevant and accessible to students going into professional practice, enables them to apply theory to case examples and helps them see which theories are focused primarily on specific developmental domains. Emphasizes the major developmental domain focus of each theorist or theoretical school and compare their ideas with those of other theorists whose focus is similar. Each of the sections focusing on a particular area of development is accompanied by a brief overview of the major “milestone” developmental changes that occur over the life span in that domain. Shows the linkages between earlier theories and newer, less well-developed theories and proto-theories in order to demonstrate how some theories have had great influence on other theorists and/or have changed over time as newer and older ideas are revised and integrated. Provides opportunities for student applications of concepts from various theoretical views to problems of practice by including relevant research and practice applications, case study examples, and outlines of basic developmental knowledge. Do you find it important for your students to become familiar with the voice of particular theorists? Chapters are accompanied by references to a set of original writings of the major theorists discussed in that section. The purpose of the inclusion of these writings is to give students the “flavor” of the theorists’ perspective expressed in his/her own words. These selected writings are provided in a later section of the text, so that instructors can focus in-depth on certain theoretical writings and/or individual students can delve more deeply into the work of those theorists of special interest to them. In what ways do you include theoretical views of women, various cultures and diverse ethnic backgrounds? This text includes relevant theoretical views of women and incorporates ideas of theory-builders from a range of world cultures and ethnic backgrounds by including their views and research findings when applicable. How do you organize your course? After a general introduction defining and categorizing theories, addressing historical/cultural influences on theory development, and discussing basic research approaches and practical applications (Chapters 1 and 2), this text focuses most chapters on theories that are especially relevant for understanding specific developmental areas. Chapters 3 and 4 focus on personality and social-emotional theoretical domains. Chapters 6 and 7 present cognitive and language perspectives. Chapters 8 and 9 address socio-moral and gender role issues. Chapter 11 considers physical-motor and perceptual development, as well as newer neuropsychological and behavioral genetics perspectives. Chapter 12 addresses theoretical ideas that view development as a systemic process, and it includes ecological, bioecological, developmental psychobiological, and non-linear dynamical systems perspectives. Interspersed are two life span chapters, Chapter 5 and Chapter 10, which describe similar theoretical issues from the perspectives of life span development theorists.